Personal and professional development for grassroots women leaders. Joanna Martin founded One of many™ with the ambition to unleash the bold, grassroots leadership of 1 million women internationally. Women who feel called to do more, give more, be more… and leave a powerful legacy. One of many™ quickly established itself as the fastest growing women’s leadership community in the UK, setting a high bar with their live events and training. With a fastidious attention to detail and exceptional customer service, the events and training not only changed lives, but turned attendees into life long champions. But both Jo and team the recognised that if they wanted to reach more people and make the global impact they dreamed of, they were going to have to take both their community and training online. More specifically, they needed to make sure it lived up to the brand experience they delivered at their in-person events. “The Good Alliance helped us see who we really were and how to attract more women like our best clients. Joanna and the team clearly understood that their visual brand would be crucial to their online success. They had hired a design agency to develop their initial brand and website, and although it was neat and tidy and had served them well to that point, it required development if it was going to inspire the same sort of brand recognition or loyalty that they could from the live events. Original brand colours were a pink and turquoise – which might have been fine for a #girlboss brand. But which didn’t exactly resonate with busy mums, teachers, business owners, community leaders or politicians. And which struck the exactly wrong tone for changing the way we talk about feminism. If they wanted to be taken more seriously, their visual impression needed to have a more serious tone. Joanna Martin was the figurehead of the brand, but she was just One of many women who made the community such an incredible thing to be part of. So if we wanted to create that same community feel online, we need to see more of the people and faces within the community. We needed real images of real women. Cue a photoshoot with the talented Karen Roswell. 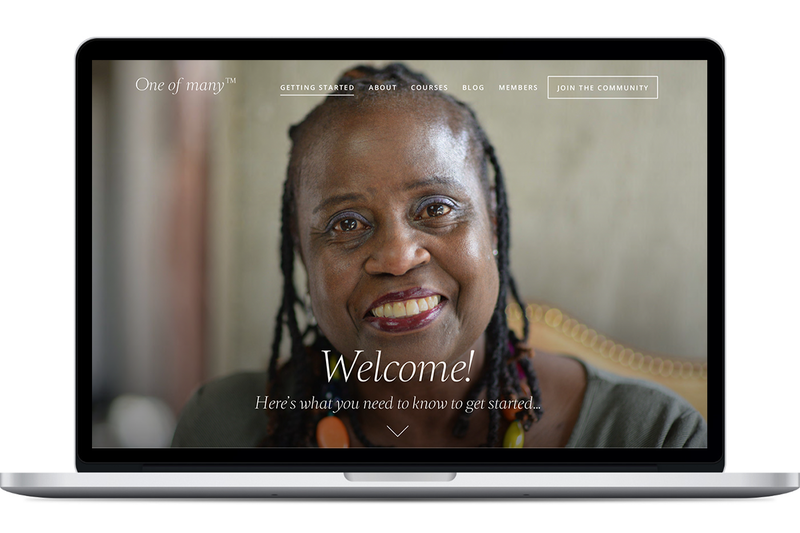 The new brand was trialled with a site for the 2016 One Woman Conference. Within a week of launch 80% of tickets had been sold, and it was a sellout with a month – they had to have a waiting list. 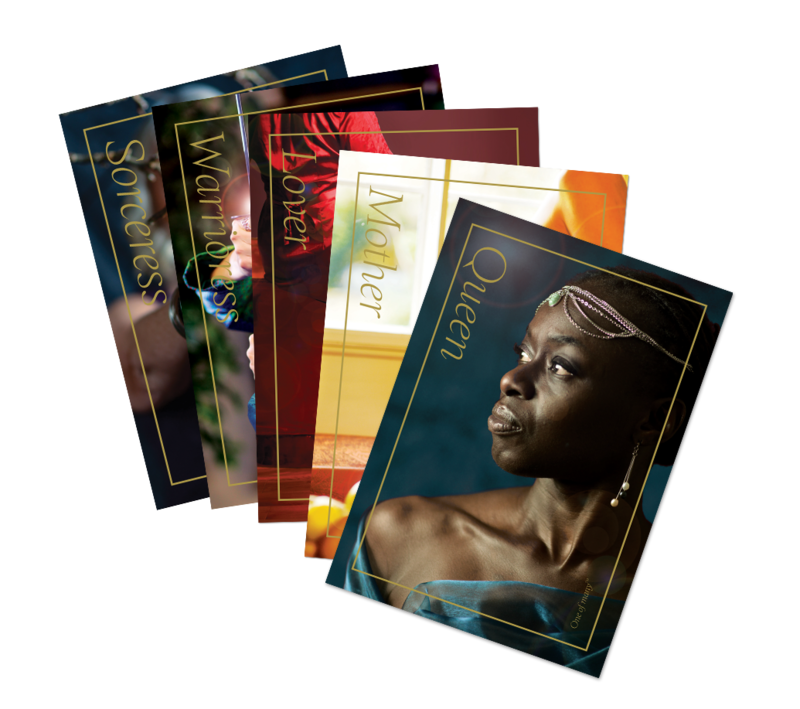 The new website launched soon after, and we spent several months rolling the new brand out across all of One of many’s collateral and merchandise – from brochures and stationery, to pop-up stands and powerpoint slides, and even the development of their Women’s PowerType quiz and cards. I feel more confident in who we are and how we present. Confident to work with higher caliber partners and attract higher caliber speakers and clients. We’ve worked for top agencies and global brands. But nothing gets us more excited than working for entrepreneurs with big hearts and big visions. What's stopping you from creating a loyal following? What's stopping you from making an even bigger impact?